The 2017 Ford Expedition XLT offers an excellent performance, thanks to its 6-speed shiftable automatic transmission, EcoBoost® engine and rear-wheel drive. But don’t forget the inside! The spacious interior of the Expedition allows for easy transportation of human or inanimate cargo. All you have to do is press a button, and the PowerFold® 3rd-Row can be folded and stowed under the floor. Lastly, for those who would use their vehicle to transport materials and/or trailers to and from the job, the Expedition XLT has a towing capacity of up to 9,200 lbs! Located just 30 minutes from our Melrose Park location, the village of Clarendon Hills, Illinois, is 30 minutes northwest of Chicago and is accessible by car via the I-290 Expressway. It is also accessible by train via Metra’s BNSF line to and from the city of Chicago. A notable point of interest in Clarendon Hills is the Country House Restaurant, which is said to be haunted. Al Piemonte Ford boasts a wide selection of 2017 Ford Expeditions for sale. Because of our strategic locations, we are able to service our customers all throughout the Chicagoland area. Whether you are in the market for a new Ford Expedition or a used Ford Expedition, our talented sales team can assist with any questions you may have regarding Ford Expedition lease options or simply questions regarding the Ford Expedition price ranges. 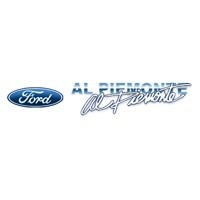 Al Piemonte Ford	41.9069652, -87.8662987.